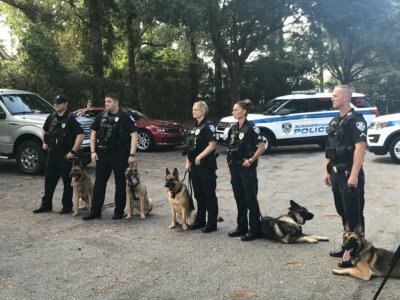 Charleston, South Carolina Video Camera Crew Goes on K-9 Patrol with A&E's "Live PD"
Bad boys, bad boys, what you gonna do? What you gonna do when our Charleston, South Carolina video camera crew comes for you? When you think of Live PD do you think of DUI checkpoints, high-speed chases, and drug busts? Well for this piece, the show wanted to highlight a lighter side of the cop world. The ride along took us to downtown Summerville where we hopped out of the squad car and walked around, mingling with the locals. The producer wanted happy shots of people interacting with the friendly officer and her dog. Luckily dogs, even police dogs, make people want to stop and pet, so happy shots were no problem. We then took a stroll through Azalea Park for beauty shots of Office Burke and Apart. After lunch (a dog’s gotta eat) we headed to the Summerville Police Station’s K-9 training facility so Apart could flex her muscles. We kept things light (no arm chews), but she was still really able to show her strength and agility. After a long day’s work, Apart was ready to head home. We captured some great footage of the dog and her handler interacting at home. When the vest comes off, she is just a regular dog who loves treats and belly rubs as much as the next dog. It was a busy and rewarding day. 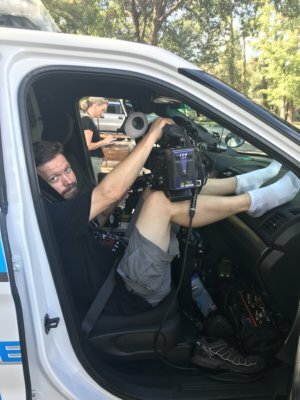 Our Charleston, South Carolina video camera crew learned about flexibility and dependability. We were thrilled to see the Summerville Police Department portrayed in such a positive light. 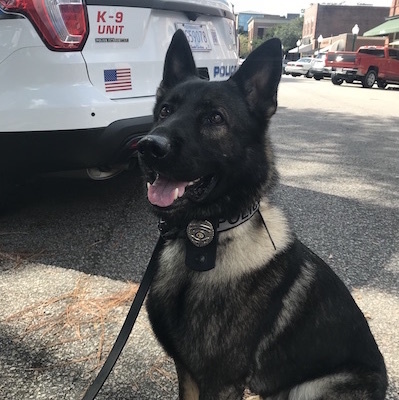 It’s important that Live PD is showcasing the grit and grime of police work, but also the softer human (and K-9) side of things. These dogs take their jobs very seriously, but also know how to relax when they get home. 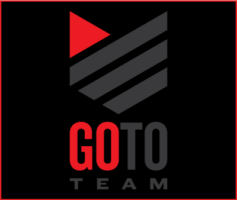 They are very active on social media so be sure to follow them! Keep up with the new episodes of Live PD on A&E on Friday and Saturday nights at 9 pm.